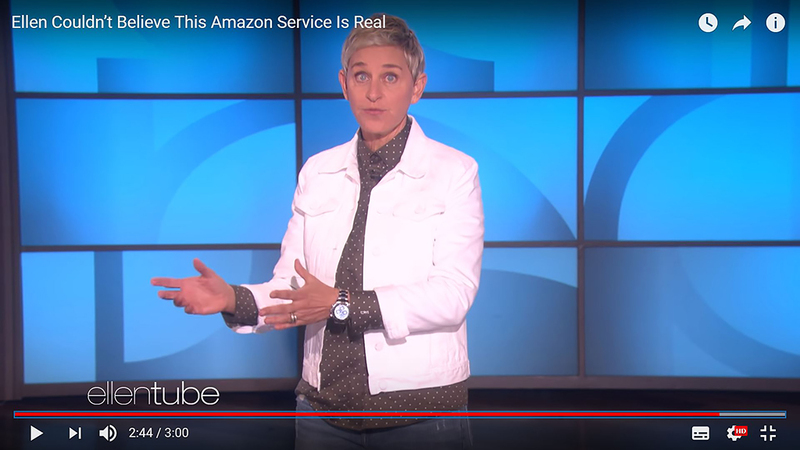 For this weeks episode of Spot the Watch we are focusing on an American comedy icon – Ellen DeGeneres. There are umpteen reasons to love Ellen – She’s funny. She’s charming. Perhaps also the greatest TV talk show host of all time; she’s won numerous Emmys and People’s Choice Awards as TV host, and has her own star on the Hollywood Walk of Fame to boot. Need we say more? Despite being known for humor, Ellen is recognised amongst the WIS community for her impressive wrist game – she likes her timepieces. A lot. In fact, one cannot sit through an episode without sneaking glances at the talk show host’s wrists (wrist pervert much?). And you wouldn’t wind up empty-handed: we’ve previously spotted a few of her complication Pateks here, here and here. But one brand in particular stands out: Rolex. Ellen has been seen rocking vintage and contemporary pieces from ‘the crown’ before, but we shall focus solely on the latter today. Sit back and hold on tight as you’re in for a star-studded spot! Kicking things off is the Rolex Cosmograph Daytona Platinum ‘Platona’ (ref. 116506). The timepiece was launched in 2013 in celebration of the Daytona’s 50th birthday, distinguished by its light blue sunburst dial and brown Cerachrom bezel. It is the only platinum Daytona launched so far, and perhaps the ‘ultimate’. There are two dial variations: one with white gold indices that is filled with Chromalight, and another with diamond indices. We cannot clearly identify from the screenshot the variant Ellen sports, but an educated guess would be the latter. The next timepiece is another Daytona: a white gold ref. 116519LN. The watch dons a handsome silver sunburst dial with contrasting black sub dials – highly reminiscent of the vintage “panda dial” Daytonas. But its defining trait would be the Oysterflex bracelet: apt for the current summer season in the US. Of course, this is not applicable to us in Singapore as it is summer all year here. We enjoy white gold timepieces due to its ‘stealth wealth’ appeal, and the Oysterflex rubber aids in dressing it down further (as opposed to polished center links), giving the watch a sportier outlook. Moving on we have another Oyster Professional timepiece: a Submariner Date (ref. 116618LN). The Submariner is the indisputable icon of Rolex. Its clean, no-nonsense dial combined with an evergreen design makes it a rather versatile piece. The current iteration yellow gold Submariner was introduced in 2009, being the 2nd piece of its kind to receive a “maxi case” and Cerachrom bezel upgrade. Though some prefer the sleeker case of the previous iteration, we reckon that the bigger (and heftier) case wears really well, not to mention on a feminine wrist. 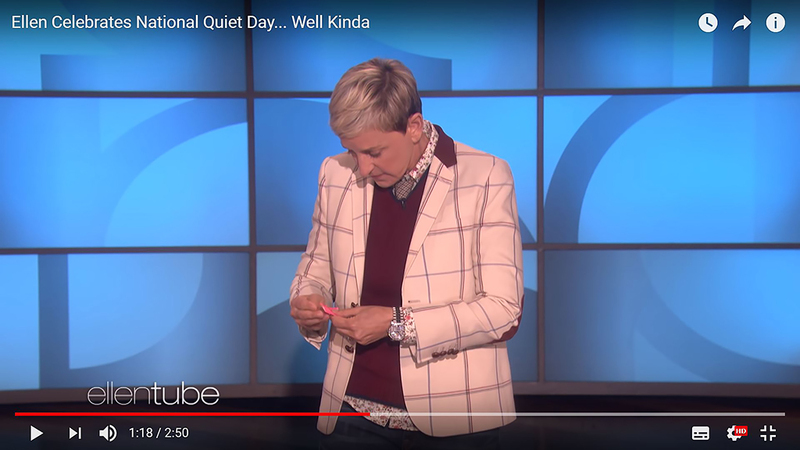 Breaking up the trend of sport model Rolexes, we find Ellen wearing a Day-Date 40 (ref. 228396TBR). It is perhaps most well-known by its nickname, The President, due to its association with US presidents. The model which Ellen sports has an added twist as the dial and bezel has been fully decked (iced) out with diamonds. We can make out the baguette-cut blue sapphire 6 and 9 o’clock hour markers. Certainly on par with Mark Wahlberg’s emerald-encrusted platinum Rolex Day-Date, which he has coincidentally worn on Ellen before. 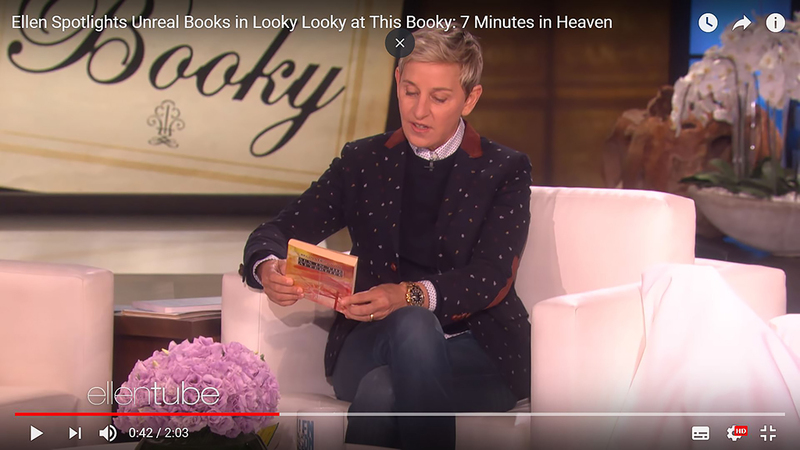 Perhaps Ellen was inspired by Mark’s piece – one can only guess. There exists 2 variants of Day-Dates equipped with the same diamond bezel and dial configuration, with the only differences being type of metal used (white gold vs platinum) and diamond cut (round vs baguette) on the bezel. 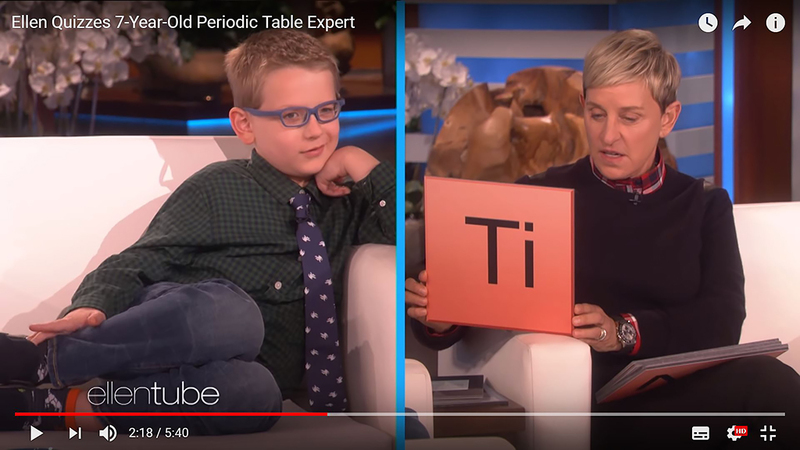 We can’t ascertain which variant Ellen has, but suspect its Platinum. Finally to round things off, we have a pleasant surprise: the GMT-Master II stainless steel ‘Pepsi’ (ref. 126710BLRO). It is the cheapest watch on this list, yet one that’s the most “exclusive”. Launched during Baselworld 2018, the stainless steel ‘Pepsi’ is a welcome addition. From the above list, we’ve noticed that Ellen dons rather predictable pieces; models that fits with the status quo. Sticking with Rolex, perhaps something which might compliment her classic style more would be the Rolex Cellini Moonphase (ref. 50535). It comes in a well-proportioned 39mm Everose gold case. Though with an annual salary of $75 million and net worth of $450 million, any watch shouldn’t be a problem. For that, something from our recommendations maybe? In all seriousness, we’re very impressed with her extensive collection, and the fact that she wears her prized pieces rather than have them sit in a safe. That concludes this episode of Spot The Watch! We hope you have enjoyed it as much as us spotting the impressive timepieces. Let us know what you think in the comments below!